Premiere inspection services for Seattle, Bellevue, Kirkland, and surrounding areas. Do you know what's lurking in the crawl space? Know your home is safe and sound with us! 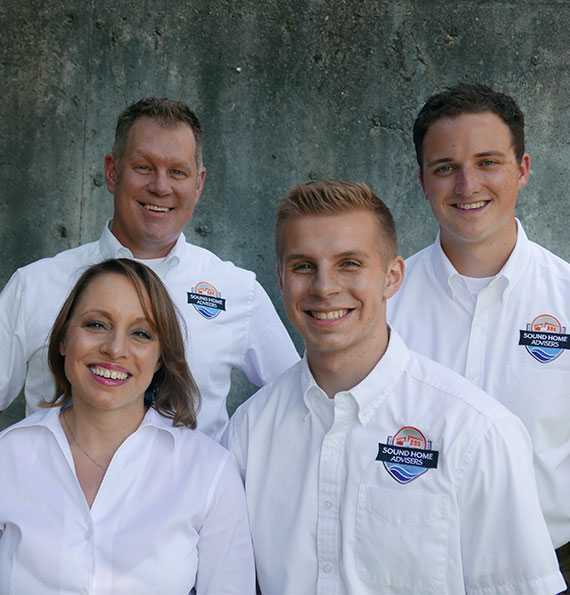 We are a multi-inspector firm with decades of experience proudly providing Home and Warranty Inspections for Kirkland, Kenmore, Seattle, Bellevue and surrounding areas in King and Snohomish counties. Our standard home inspection is a comprehensive evaluation of the interior and exterior of your home. The non-invasive inspection is based on our observations of the visible and accessible areas of the structure, its systems and components. Following your inspection, you will receive a comprehensive report, complete with photos, that includes information on any material defects we observed on the date of the inspection. When looking for a home inspector in the Puget Sound, look no further than Sound Home Advisers. Jesse and Matt were outstanding. They were so professional and knowledgeable and they took the time to explain everything. Jesse was not only the most thorough and professional home inspector I have worked with, he actually had a sense of humor. He walked me through every step of the process, telling me exactly what he was looking for and why it was important. He even took a picture of our family in front of our new home. Jesse is just AWESOME! He did a great job, explained everything, and sent us a very detailed inspection report the very next day. I would definitely use his services again. Get a hold of us anyway you wish!